Netflix has picked up “The OA” for a second season, the streaming service announced on Wednesday. The sci-fi series, from co-creators Zal Batmanglij and Brit Marling, was first announced in 2015, but was kept tightly under wraps until its premiere last December. The eight-episode first season premiered with little fanfare and just one trailer released a few days in advance. The series centers on Prairie Johnson, a missing blind girl, who returns to the community she grew up in with her sight restored. Emory Cohen, Scott Wilson, Phyllis Smith, Alice Krige and Patrick Gibson also starred. 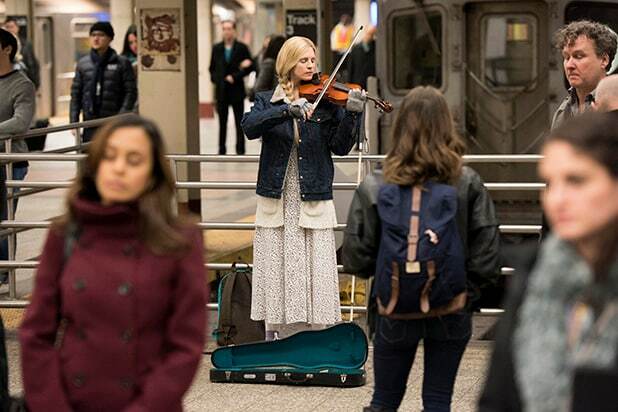 Marling and Batmanglij previously collaborated on “Sound of My Voice” and “The East,” but “The OA” is the first television project for the pair. Dede Gardner and Jeremy Kleiner, from Brad Pitt’s Plan B, and Michael Sugar of Anonymous Content, also serve as executive producers. Season 1 concluded on a major cliffhanger, and left viewers with more questions than answers. But in an interview with TheWrap following the show’s debut, Batmanglij teased that he and Marling had a plan for the series to continue should it be picked up for more episodes. Was it all just a story? The biggest question left hanging at the end of the series is whether or not Prairie's story about angels and being held captive was true. The series intentionally leaves it up to viewers to decide, but no matter how you come down on it, a number other questions are raised as a result. If it was fake, how did she get her sight back? If Prairie's story about being an angel was all just a tall tale, what during her seven-year disappearance cured her blindness? This is the most compelling hint that it might not be a lie at all. If it was real, what was she doing with those books? Alfonso finds four books that seem to suggest pretty plainly that Prarie made up her entire story, from her beginnings as the daughter of a Russian oligarch to Homer's entire existence. But if it was all true, why was she hiding those specific books under her bed? If it was fake, how did they stop the shooter? Prarie has one final premonition and runs to the high school just before the shooting. If that was just coincidental timing, did the other five stop the shooter? Or just distract him long enough to be taken out by the cafeteria worker? If it was real, what happened to the other angels? Prarie says she was dumped on the side of the road by Hap, who took off with the other captors and the five movements. Did they really go to another dimensions? If it was fake, did her dad really die? If Prairie wasn't the daughter of a Russian oligarch, did her father really die? Or was she just born into the brothel where she was found by Nancy and Abel? If it was real, what was the other scientist's experiment? If the entire story was made up, it's likely the other scientist studying the afterlife never existed. But if he was real, why wasn't there more evidence of his experiment when Steve and Alfonso are researching online? If it was fake, where was she at the end? The last shot of the series is Prarie in an all white room, saying, "Homer?" Does that mean she was sent to an alternate reality where she was reunited with her boyfriend? Or was she hallucinating in a mental hospital? If it was real, who was the fifth angel? Rachel never received a movement, that came from the sheriff's wife after they cure her ALS. Does that mean she's the fifth angel? Was Rachel not actually an angel? Why was Riz Ahmed's character in Prairie's house? When Alfonso breaks into Prairie's house and discovers that she's possibly been lying, he's met by Elias, who explains that he's experiencing "second-hand trauma." But what was Elias doing in the house in the first place? Will there be a Season 2? What would it be about? 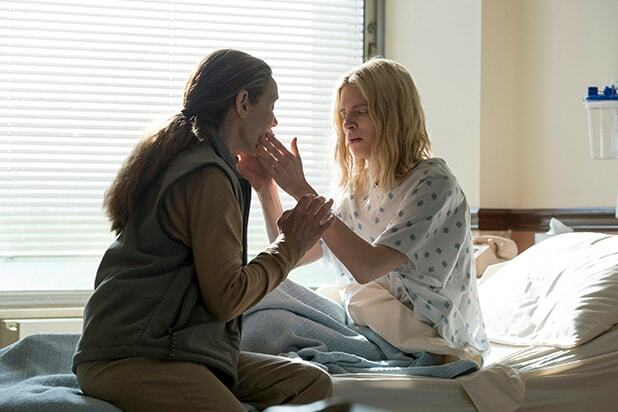 Will "The OA" return for another season on Netflix? Co-creator Zal Batmanglij told TheWrap that they already know what a potential season would be about. But with Prairie dead and/or in another dimension, what would that entail? And what was that thing about Saturn?